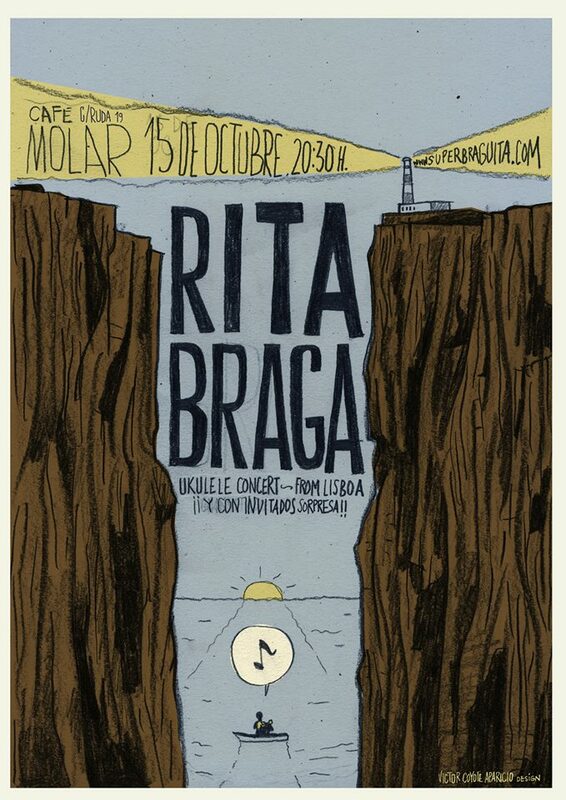 Victor Coyote designed this very cool poster for the concert at Cafe Molar in Madrid. Cafe Molar is a comics/book shop, cafe and art gallery. 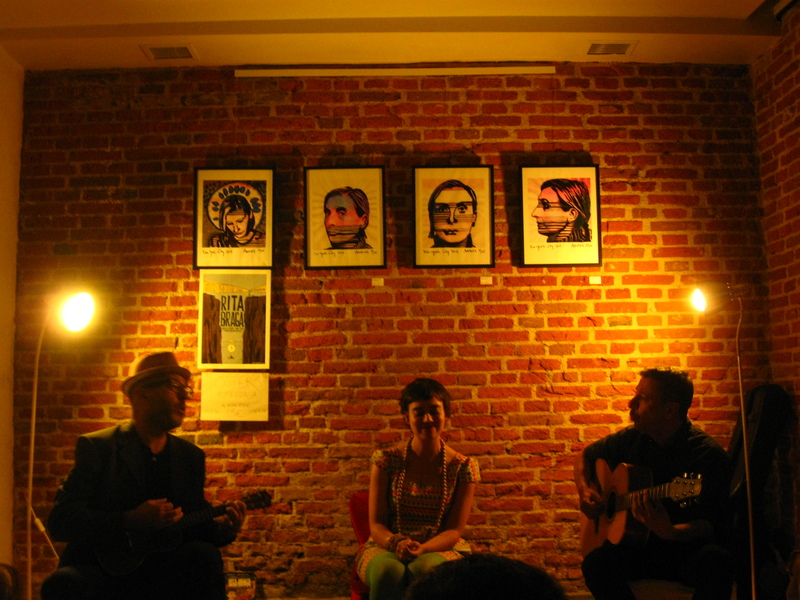 He also joined me on 2 songs, along with Pablo Novoa Cid. The picture below shows their whistling solo, for the song “Havemos de ir a Viana” that we recently recorded for his next album. This entry was posted on October 18, 2013 by Rita Braga. It was filed under Uncategorized .